So WisCon 40 is done and gone. And over a week late I'm finally getting around to find my thoughts on it. My thoughts on everything that's happened and everything I was lucky enough to hear and participate in. WisCon, since I started going three years ago, has been, well, the one con I go to each year. 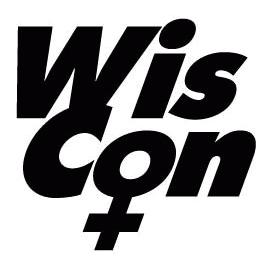 Money and work mean that I just can't get too far away from where I live and WisCon...WisCon makes me really happy to live in this state. And this was a big one. Three Guests of Honor, including Sofia Samatar, Nalo Hopkinson, and Justine Larbalestier. Plus just regular awesome people in attendance like K. Tempest Bradford, Mark Oshiro, & many more. For the 40th anniversary of the con people pulled out all the stops. This was also my first year on programming. I got to be on two panels right away on Friday, at both of which I got to feel completely outclassed by the rest of the panelists. The first, on The Art of the Book Review, kicked off the con for me, and featured a great discussion about the nature of book reviews and their changing role in the fan and publishing landscape. And okay, yet, I apparently have some not-incredibly-popular opinions when it comes to spoilers and negative reviews and comparing works to other works, but it was still a very respectful panel and it was a great way to get started. My second panel was a bit more...well, it was a lot more fun with a lot more swearing. The Baby Writer panel featured writers with five or fewer pro sales and was addressing that particular place in a writer's trajectory (which for many lasts a lot longer than for others). But it was a great, cathartic experience to talk about the struggles of starting out and facing...a bit of an uphill battle when it comes to getting work out and accepted at pro markets and dealing with managing expectations, pushing back against negativity demons, and trying to focus on both the business and the craft of writing. Really, this was the panel that revitalized me a bit, that got me excited to keep going and writing. Or maybe that was the con as a whole. I always leave WisCon feeling equal parts inspired and intimidated, but it's an amazing experience, like cramming some sort of college course into a single weekend. Now, other people have written much more intelligently about WisCon and it's history and "the way it's been going." Go read this piece by K. Tempest Bradford. I have less experience with this because this WisCon has always been more my WisCon. Having only gone the last three years, I've seen some shift but haven't experienced how it was before. What I know is that I've loved WisCon and each years just keeps getting better. As much as I am a complete social idiot when it comes to saying hi to people, I've felt welcome at WisCon and really look forward to going back. But there is a discussion going on about who is welcome and if there was a theme this year that I could pick out it's probably one that revolves around the idea of Nice. There were a few excellent panels about the pitfalls of Nice. The #KeepYANice and Other Tools of Oppression was a great discussion of that, where how people talk about nice and who is expected to be nice was dissected and examined. Many other panels came back to this as well, looking at things like code switching and the intersections of race and class and how Niceness is something that is often used to mean "the right kind of Nice" which is the Nice expected of people who are being punched from above. And there were calls both to resist the pressure to be Nice and there were also calls to shift the conversation away from Nice as an attack and more toward using Nice to celebrate real, human kindness. The proposed Lemonade Award was the culmination of that, put forward by GoH Nalo Hopkinson. It's an interesting idea and I'm excited to see where it might go. In the end, WisCon remains a great place to go and to talk but, for me, mostly to listen. To bask in the voices of so many amazing people and writers and learn something. And also buy a lot of books. But year after year it continues to provide excellent panels and discussions and speakers and just all the good. If you're in the Wisconsin area around Memorial Day, definitely stop in. Say hi. See you next year, WisCon!